This Townhome Backs Up To The Beautiful View Of The Amenities Such As The Pool, 2 Tennis Courts, Playground And Firepits. MLS#6516651. Re/Max Tru. Ascot - Horses, Horsepower Or Just Relaxing This Home Is For You. MLS#8538873. Stablegate Realty Llc. Ryans Bluff - 2-Year-Old Roof, New Hardwood Floors, Carpets & Paint. MLS#8539217. Berkshire Hathaway Homeservices Georgia Properties. Abundant Storage. New Appliances. Easy Elevator Install. MLS#6515209. Dorsey Alston Realtors. Close Proximity To Top Rated Schools And Beautiful Lake Lanier! MLS#6516088. Re/Max Tru. Special Community Amenities Include A Swimming Pool, Clubhouse, Tennnis Courts, Playground, Firepit, And Close Proximity To Beautiful Lake Lanier! MLS#6515992. Re/Max Tru. Windermere Muirfield - Hoa Maintains Exterior, And Includes Water, Trash, Termite Bond, Pest, Reserve Fund, Insurance Covering Exterior And Landscaping. MLS#6514822. Elizabeth Street, Inc..
Special Community Amenities Include A Swimming Pool, Clubhouse, Tennnis Courts, Playground, Firepit, And Close Proximity To Beautiful Lake Lanier! MLS#6514446. Re/Max Tru. Special Community Amenities Include A Swimming Pool, Clubhouse, Tennis Courts, Playground, Firepit, And Close Proximity To Beautiful Lake Lanier! MLS#6514598. Re/Max Tru. Large Deck, Private, Wooded, & Flat Yard. Fantastic Amenities Swim/Tennis & Pond. MLS#8536765. Chestatee Real Estate, Llc. Villages At Castleberry - Home Comes With A 30-Day Satisfaction Guarantee. Terms And Conditions Apply. MLS#6512143. Opendoor Brokerage, Llc. Builder Pays Closing Costs! Call Today! MLS#8536072. Starlight Homes Ga Llc. Settendown Reserve Offers Forsyth County Schools, Swimming Pool And Upgrades Not Normally Seen In This Range. MLS#8536074. Starlight Homes Ga Llc. Builder Pays Closing Costs! Call Today! MLS#8536070. Starlight Homes Ga Llc. Wellstone - Conveniently Located Near Shopping, Medical Facilities, Dining, And Recreational Areas. MLS#6513059. Douglas Property Management. Hunters Walk - West Forsyth, Great Schools, Shopping. (File Photos) MLS#8535004. Park Place Brokers Inc..
Hunters Walk - West Forsyth, Great Schools, Shopping. (File Photos) MLS#8534994. Park Place Brokers Inc.. Known For Their Energy-Efficient Features, Our Homes Help You Live A Healthier & Quieter Lifestyle While Saving Thousands Of Dollars On Utility Bills. MLS#8534999. 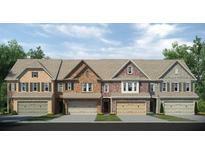 Meritage Homes Of Georgia Inc.
Hunters Walk - West Forsyth, Great Schools, Shopping. (File Photos) MLS#8534997. Park Place Brokers Inc..
Pinnacle Glen - Minutes From 400 And The Collection! MLS#6512950. Palmerhouse Properties. 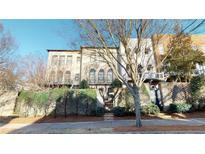 Mashburn Landing - Easy Access To 400, Next To Habersham Marina. Ask About Special Financing. MLS#8533844. Keller Williams Rlty.North Atl. Polo Golf & Country Club - Large Deck Off Kitchen Overlooks Backyard, Steps Lead Down To Patio Below. MLS#8533930. Keller Williams Rlty-Atl.North. Orchards At Habersham - Property Is Located Close To Restaurants, Shopping, And Northside Hospital And Numerous Physicians. Come See! ! MLS#6512062. Regis Properties, Inc..
Home Is Lovingly Lived In & Well-Cared For. MLS#6511135. Strom Thurman Realty Partners, Llc..
Lanier Country Club Estates - Gourmet Kitchen Overlooks The Family And Eating Area With Easy Access To The Covered Patio. Owner Agent MLS#8532747. Southern Classic Realtors.